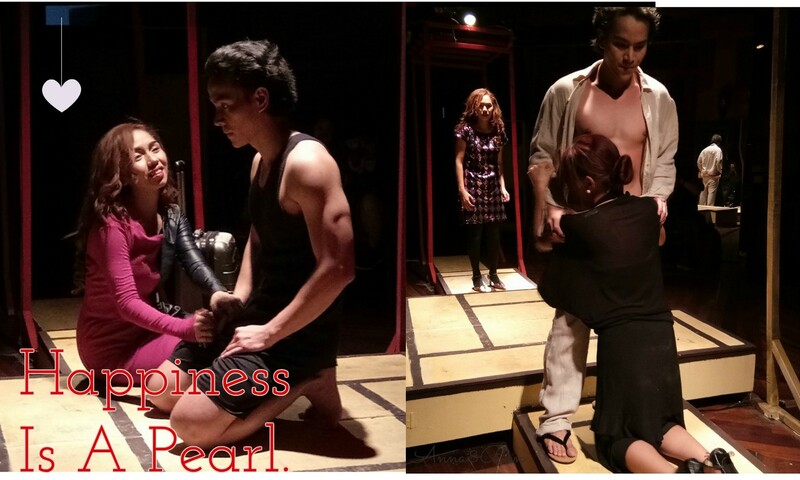 Recipient of 2016 Aliw Awards for Best Non-Musical and 2016 Broadway World Awards for Best Filipino Play New/Revival, " Happiness Is A Pearl, " an original play by acclaimed Literature Hall Of Famer Carlos Palanca Memorial Awardee Rody Vera is having a comeback beginning August 25 and running until September 17 at Arts Above, Artist Playground II, 112 West Avenue Bldg., West Avenue, Quezon City. 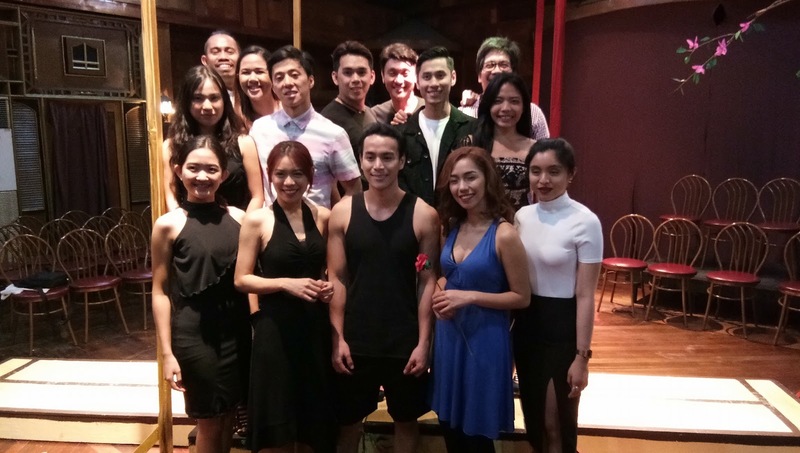 The play is a repeat performance from last year due to insistent public demand. The play tells the story of Kenji (Glen Asaytona, TJ dela Paz, Julian Roxas and Arvin Trinidad) a Japanese Hosto, who has the pearl sutured in his manhood. She fell in love with Maria (Ahlyxon Leyva, Sheena Ramos and Ira Ruzz) a poor Filipina working as a Japayuki. Their story was disturbed by Mari (Catherine Go, Micah Musa and April Jasmin Morales) who was once married to a billionaire businessman who left her when she became obsessed to the happiness brought by Kenji. Torn between love and happiness. Intertwined by fate and struggle. " Happiness Is A Pearl " narrates how decision matters most. With the rest of the ensemble: Star Alferez, Jessa Bisnar, Rey Ann Guilas, Joyan Kiu, Beaulah Mae Saycon, Sheneill Solis and Princess Tuason, the show complemented as a whole. The venue which was transformed into a Japanese pub created a very nice impression and expression to spectators. Scenes from the three leads were provocatively and artistically sensuous. What made it erotically beautiful was the interpretation of happiness through the sensual dance tango, the highlight of the play and the core in expressing passion and pleasure. Thanks to Paul Jake Paule (Director) and Roeder Camañag (Artistic Director) for motivating. Jesse Lucas (Music Composer) for the Japanese feeling through music and Lezlie Dailisan (Choreographer) for the courage through tango. Cuyonon Baragatan celebrate 10th year. The West Side Story in Manila. Fil-Global turns 3 year old. And the winners are... Cinemalaya 2017.